When it comes to the planet, there were fire alarms before an actual blaze was fully noted. The Pentagon feeds eternally at the terror trough. Listen to Trump’s first campaign speech, and see him presenting himself with naked honesty. 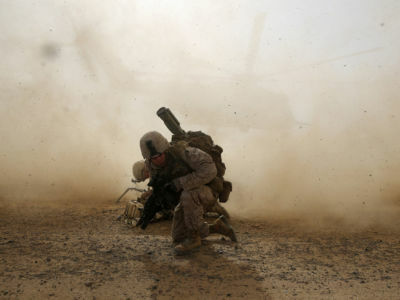 The US’s 10-year proxy war laid the foundation for the endless wars that have followed. Will Trump Consign Humans to the Fate of the Dinosaurs? As humanity has armed itself ever more lethally, it has transformed itself into the equivalent of so many asteroids. Americans have been in a contest of avoidance when it comes to what their country and the planet are becoming. Election Day 2018: What Lessons Can We Learn From 2016? Two years after that fateful November night in 2016, we’re still living in a fever dream of some sort. Seventeen years later, the war in Afghanistan shows no signs of ending. What Will Donald Trump Be Remembered For? Donald Trump will be remembered for his desire to put us all on an escalator to Hell. The US military is now heading into record territory in Afghanistan.